Law firms use promotion to gain new customers, as well as to retain current ones, and to enhance the value of client accounts through the up-selling and cross-selling of additional services. Continuing Legal Education is an important field in which legal marketers can participate by delivering educational webinars for attorneys who want to continue their legal education. 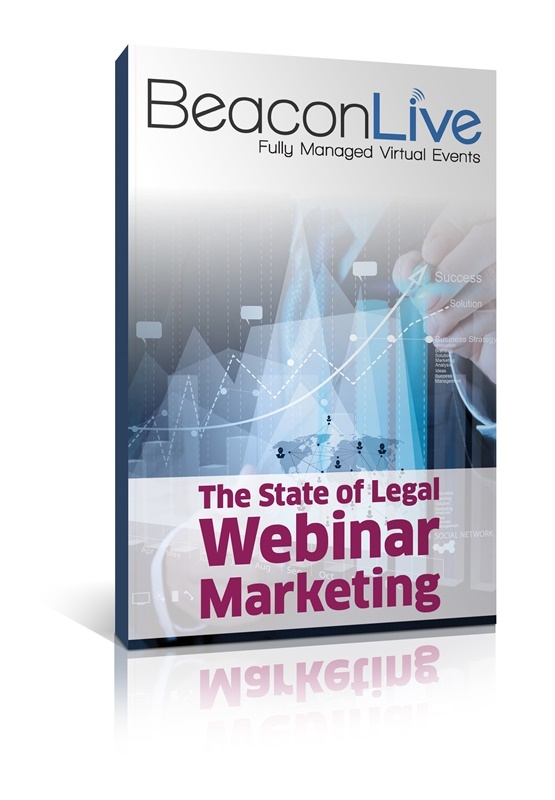 As a result, legal webinar marketing is a thriving field that continues to evolve as new trends emerge. CLE webinar tips... and more! Simply fill out the form to learn how to enhance event participation and brand reputation by delivering effective legal marketing webinars.